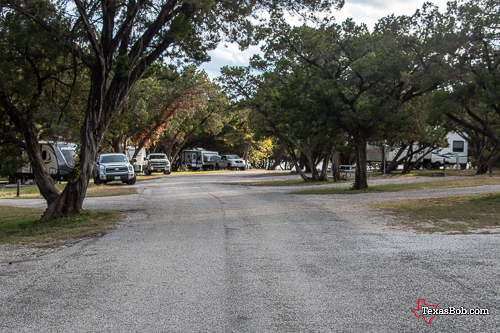 My first visit to Cleburne State Park was in November 2018. It is another Civilian Conservation Corps (CCC) built state park. 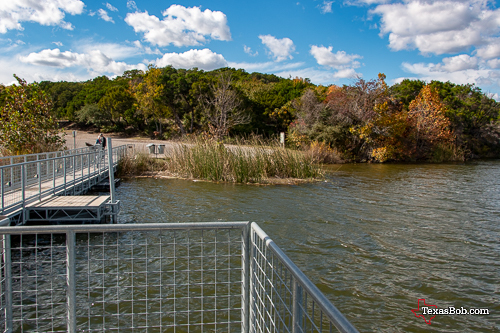 The primary feature of the park is the 116-acre Cedar Lake. 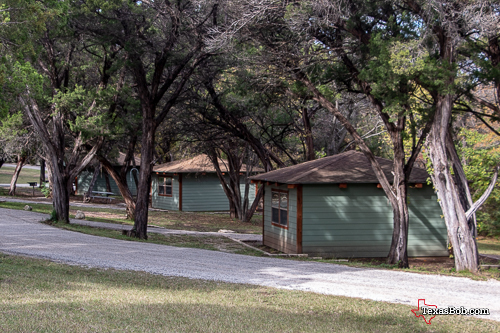 In July of 1935 the CCC Company 3804 arrived at Cleburne State Park to establish camp SP-53. One of their biggest tasks was building the dam to impound Camp Creek to form Cedar Lake. As early as 1936 the National Park Service, who were overseeing the project, had doubts that the spring fed Camp Creek would ever fill the lake. One NPS inspector said he could drink all the water that would flow over the Cleburne State Park Dam. This skepticism about Cedar Lake is probably the reason in 1940 early withdraw of CCC Company 3804 from the unfinished Cleburne State Park. The water finally crested the dam's spillway February 25, 1941, and the local boosters began lobbying for that NPS Inspector to come back for a drink of water from the flowing spillway. Since we had never been to this park, I had to study the park map on-line and made my reservations at the Poplar Point Camp Ground. When we arrived, I pick the campsite from a map on the wall. This was a full hookup site and all sites in the park are back-in. It took a while to get backed in because the sites in the Poplar Point range from very unlevel to moderately unlevel. It took some time to get level and after using 12 Lynx Blocks under each stabilizer on the back of my trailer and using about 2 inches of blocks on the right side my trailer we were level. However, one of our doors was too high off the ground to use. From my scale of moderately unlevel to very unlevel campsites, I would rank my site as very unlevel. Why did I not asked to move? After all that work, leveling, I was not going anywhere. Will you visit this park again? 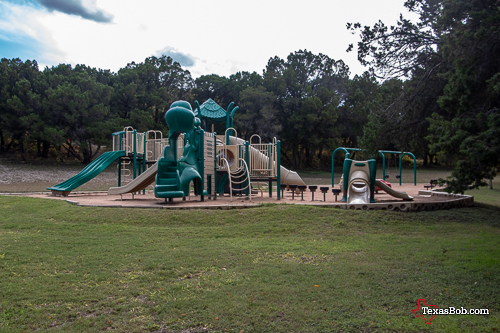 Absolutely, this is a beautiful park with an excellent staff, clean facilities, and we had a great time here. I believe the next time I will camp in the North Creek area. From a distance they seem to be reasonably level. The park also has some great group facilities. It has a men's dormitory and a woman's dormitory. Also 6 family cabins/screened shelters. At least one that I saw had an air conditioner. A play ground with sand volleyball court. It has miles of biking and hiking trails. Take the "Spillway Trail" to see the water coming over the spillway built by the CCC.